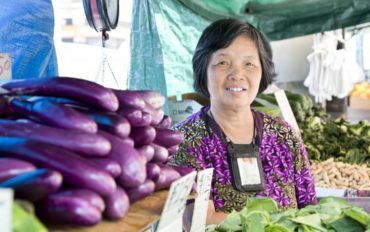 to self-sufficiency for immigrants, refugees, women, and others by providing small business loans, microloans, specialized training, technical assistance and personalized coaching. BCNA is fulfilling the American Dream of inclusion by building wealth through business development & expansion, savings and homeownership for low to moderate income immigrant and female entrepreneurs. The Business Center for New Americans is certified as a Community Development Financial Institution (CDFI) by the US Department of the Treasury and a SBA Microlender by the Small Business Administration (SBA). Having a “cushion” of money saved and available to fund temporary cash needs is essential to financial self-sufficiency. BCNA educates clients about the long-term benefits of sacrificing in the short-term to save, and about the mechanics of saving money. Refugee clients in the IDA program specify how much they’d like to save for either a small business venture or towards the down payment of a new home. Once they meet this savings goal and successfully complete a series of financial education classes, clients are given a tax-free matching grant which doubles their savings account.